Near boost in the non-dominant eye to optimizes near and intermediate vision and maintain binocularity; accommodates patients up to +2.50 ADD. As an eye care professional, you’ll also appreciate Proclear’s easy lens selection, broad, efficient parameter range, and easy adaptation for lens wearers through different stages of presbyopia. 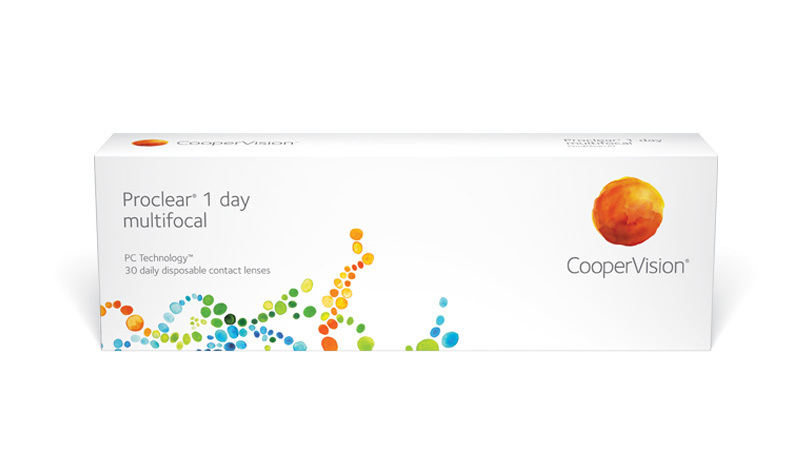 CooperVision’s exclusive PC Technology creates an ideal lens for presbyopic patients experiencing age-related dryness. Based on molecular chemistry, PC Technology creates a unique lens material in which the phosphorylcholine (PC) molecules attract and bind water to the surface, creating a shield that keeps the lenses clean and functioning properly. The PC molecules also help the lenses remain hydrated, which in turn, help them feel moist and comfortable all day long.